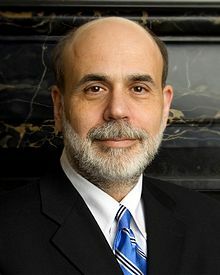 In the short term, the actions of the Federal Reserve under Chairman Ben Bernanke have had a great deal of influence over the price of stocks. But, for the long term, which is the most profitable way to invest, the fundamentals of the overall economy and the actions of each business will make its weight felt in the share price of a publicly traded company. A major factor in the overall return of a stock is its dividend income. For that reason, and many more, investors should look at Exxon Mobil (NYSE: XOM), Coca-Cola (NYSE: KO), McDonald’s (NYSE: MCD), and Home Depot (NYSE: HD), among other “Dividend Aristocrat” stocks for the long term. 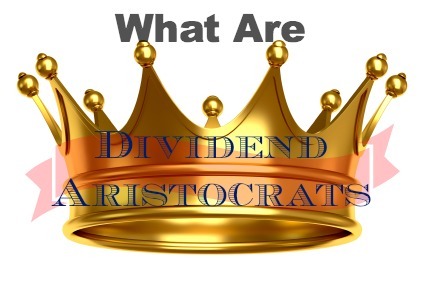 A Dividend Aristocrat is a publicly traded company that has raised its dividend annually for at least 25 consecutive years. As a result, shareholders get an annual raise just for owning the stock. If the growth rate is 6% or more annually, that means the dividend income doubles just about every decade. According to John Bogle, founder of the Vanguard mutual fund group, about half of the historic total return for a stock emanates from the dividend income component. So, the more the dividend grows, the bigger its role in the return for the shareholder. That makes the increasing dividend from a Dividend Aristocrat even more valuable. Just the fact that a company pays a dividend to its shareholder is a good sign for investors. It immediately reveals that the management of the company takes seriously the rights of minority shareholders. Also revealed is that the board of directors is confident enough that there will be plenty of cash flow to finance rising dividend payments. That proves there that the company will be operating profitably for the future. While there are many features of McDonald’s, Coca-Cola, Home Depot, Exxon Mobil and other Dividend Aristocrats that make each appealing as an investment, the basic products of all make it easy for an investor to understand the business. This is an important component of how to invest. That is why legendary investor Warren Buffett has stayed away from high tech companies, favoring those with easy-to-understand business models. A dividend check in the mail is as easy to understand as pouring a Coca-Cola, ordering a burger from McDonald’s, filling up at the local Exxon Mobil, or buying a new appliance from Home Depot. The Federal Reserve cannot diminish the appeal of those products. The rising dividend certainly makes the stocks even more alluring for long term investors.